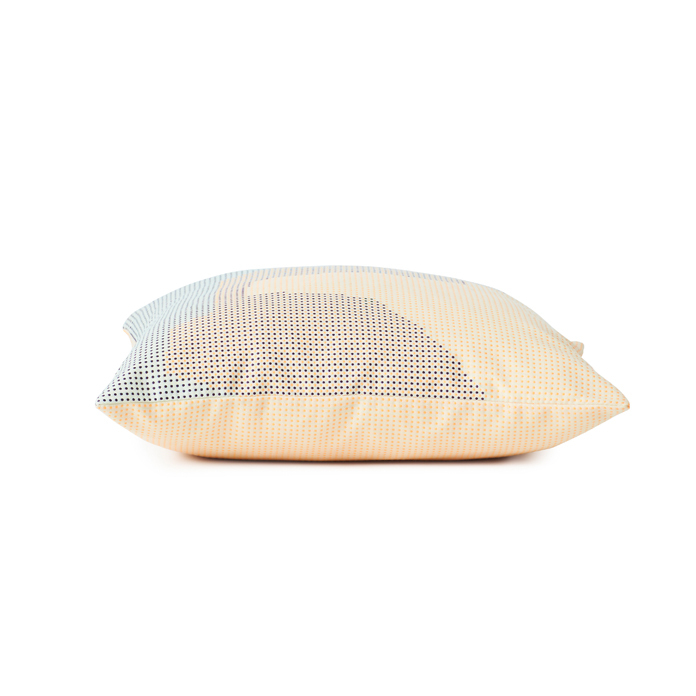 A super cushion in exclusive Kvadrat fabric. The Sprinkle Map cushion is covered with a beautiful pattern of scattered dots, out of which an abstract map emerges on the front of the cushion through random sections of the exclusive designer fabric. Accordingly the pattern varies from cushion to cushion. The back is self-coloured with dots. The fabric for the cushion was hand picked for its exquisite quality and simple design, and the Sprinkle Map cushion has a graphic look that fits beautifully into any home with attention to detail. 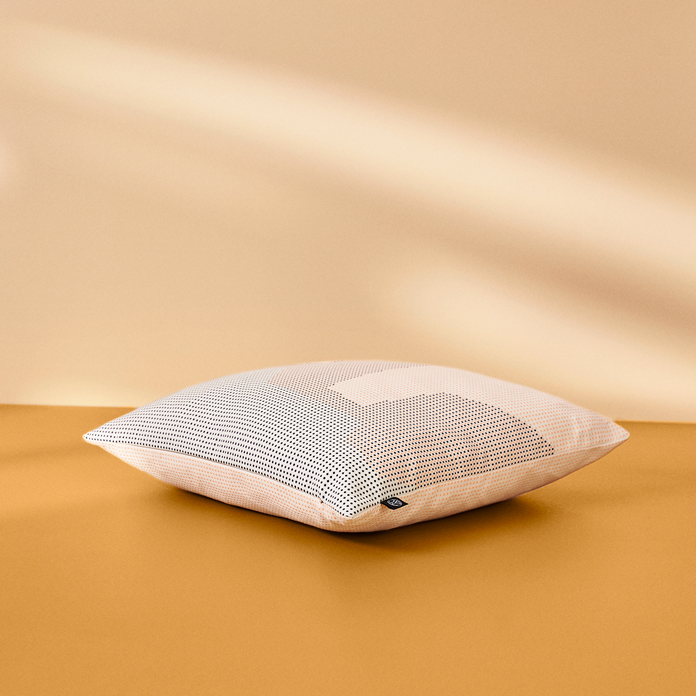 To create an elegant variety, the cushion can be combined with a Sprinkle designed with a uniform pattern of dots, which is soothing for the eyes. The Sprinkle Map and Sprinkle cushions, designed by Vibeke Rohland, come in three different ranges of colours, which can be mixed at random. The Sprinkle Map cushion is a limited edition. 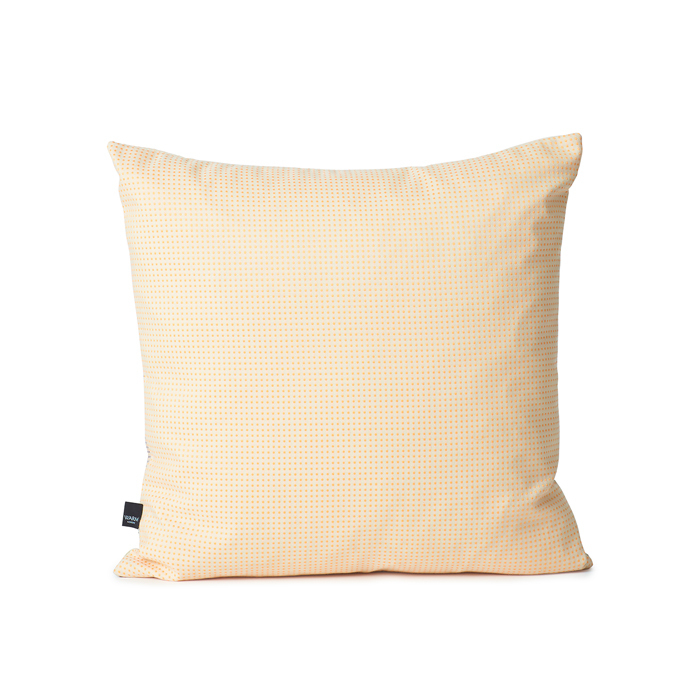 Choose from several beautiful colour combinations from the Warm Nordic universe. The pattern on the front of the cushion varies, and the fabric is different on the front and back of the cushion. 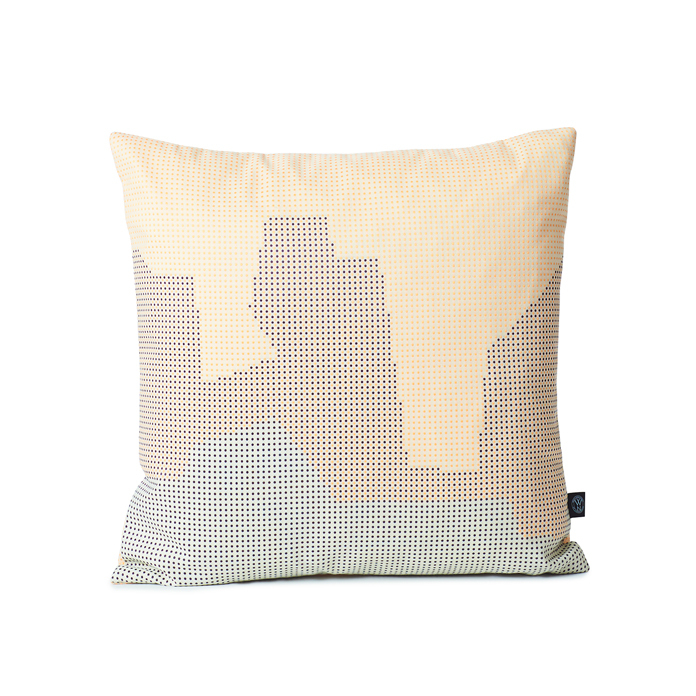 The Sprinkle Map cushion is part of the Warm Nordic Collection. The collection is a tribute to the Nordic aesthetic and features timeless objects and limited editions in curated colours and qualities. Everything is carefully selected for its ability to set a mood a create a sense of cosiness. The Warm Nordic Collection stems from a love of supreme craftsmanship and is a natural complement to the rest of the range.